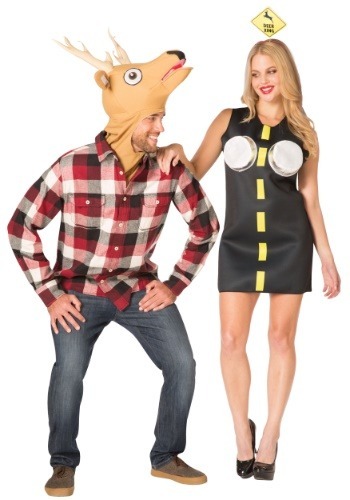 Halloween costumes are a ton of fun and can be even more enjoyable in pairs. You can choose to share the fun with your friend, child, sibling or spouse. 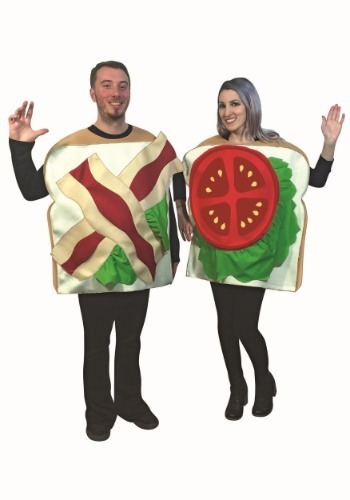 We have a fantastic range of couple costumes for Halloween that is perfect for theme parties, outings, trick or treating and all kinds of Halloween affairs. 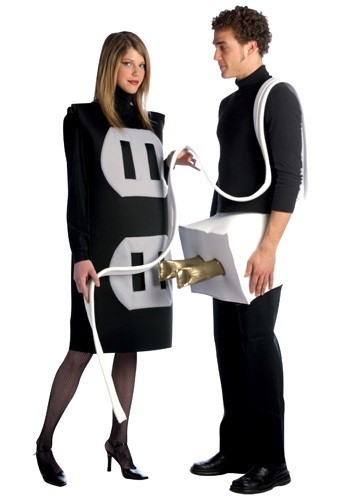 We offer an assortment of costumes for couples – from classic to comedic to absolutely frightening costumes. 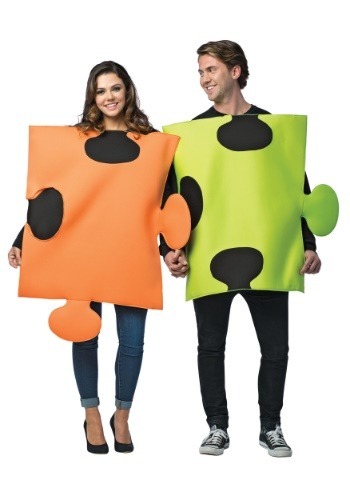 All our couple costumes are prudently coordinated to complement each other, no matter what theme or outfit you choose. Our products are of the highest quality and with our enticing prices; you will leave a happier twosome, complete with the costume of your choice. Why party alone when you can easily pair up and make this an unforgettable Halloween celebration? Don’t waste any more time, browse our website, pick your costume from our hand picked partners and be the best-dressed pair in the room. Almost everything is more fun with a group. This fact is absolutely true when it comes to dressing up your entire family or group in themed costumes for Halloween or a local event. When you’re in a costume, you’re naturally more free and light-hearted, relaxed and often take on an entirely other personality. Now multiply that experience by two, three or even ten and you’re talking major energy, fun and excitement! Group themed costumes naturally make any event or party more enjoyable and memorable. Every year you shop around to find a costume for your kids for Halloween. This is an expensive and often arduous process. Instead, why not start a family tradition and find costumes that fit the entire family and not just the kids. Become a swashbuckling group of pirates, a ghoulish group of candy snatchers, an entire box of Crayons or the part of the cast from one of your favorite childhood movies. With a family costume theme, everyone can participate – even your pets. Let your dog join in as a stolen bag of money for your family of mobsters, a bumble bee for your flower power family, or a tiny molecule for your family of mad scientists. What’s more, when you purchase your costumes instead of renting them, you’ll give them extended life for years to come. Kids can wear them at parties, in school plays or even for dress-up around the house. And as they grow, the older children’s costumes can be handed down to your younger children making it more cost effective and giving the purchase of family theme inspired costumes the ability to fit into almost any budget. Even with a group of two, a theme inspired costume can make a statement and help you stand out at your event. Become well known legends like Bonnie and Clyde, a dynamic super couple like Wonder Woman and Captain America, or stay more classic with a nursery rhymed couple like Jack and Jill. Want something less traditional? Consider peanut butter and jelly, cops and robbers or a majestic king and queen. 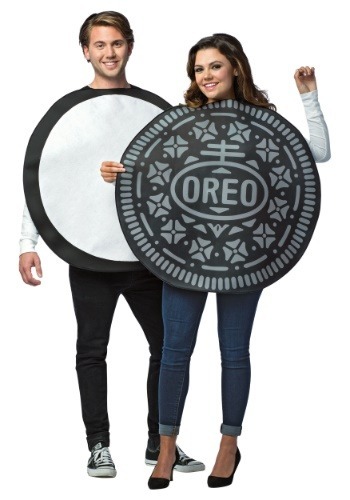 The options abound when it comes to couples costumes as anything that naturally goes together will work. The possibilities are absolutely endless! Just starting your family? Build on your couples theme inspired costumes by adding to your cast of characters as your family grows. Themed costumes for groups aren’t reserved just for Halloween. Show your team spirit at your next game by coordinating in matching mascot costumes. Stand out at your next marathon or fun run by participating as a group of reindeer, disco queens or aliens. Costume parties don’t need to wait for Halloween either. Celebrate the holidays with a North Pole inspired costume party or dazzle everyone with a celebrity glam Hollywood inspired Oscar watching event. Theme inspired group costumes are a creative way to express yourself, show your team spirit or even bring a family closer together by starting a new family tradition. And remember all of the costumes displayed on our site are available to be shipped to Canada.